« Finally Aomori’s Own Apple Cider! 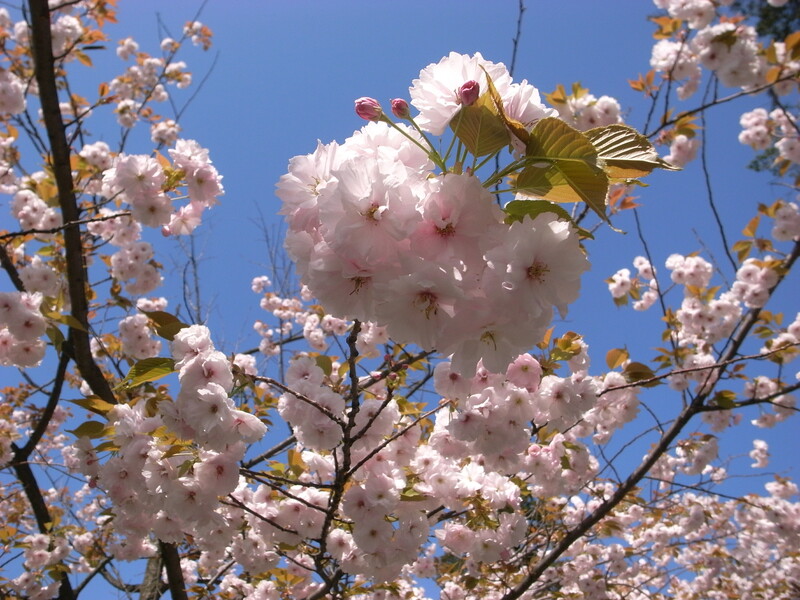 Speaking about Hirosaki-city, tourists always give first choice to visit Hirosaki Castle. If you had time after visiting Hirosaki Park, or if you kinda missed the best days for viewing cherry blossoms, I recommend to stop at Five-storied Pagoda which is located to the southeast of the castle park. It will take about 15 minutes on foot from the castle. When I visited this pagoda last weekend, there were no clouds in the blue sky and enjoyed the quiet, calm atmosphere and the late-blossoming cherry blossoms. You can occasionally find a purification font with a dragon. Water is flowing from a dragon’s mouth and you have to purify your hands and mouth with this water in preparation for approaching the sacred presence. The shape of dragon varies by the temples and shrines, so it can be interesting to see the difference of the dragons if you are visiting many temples and shrines. I thought this dragon was very decorative. 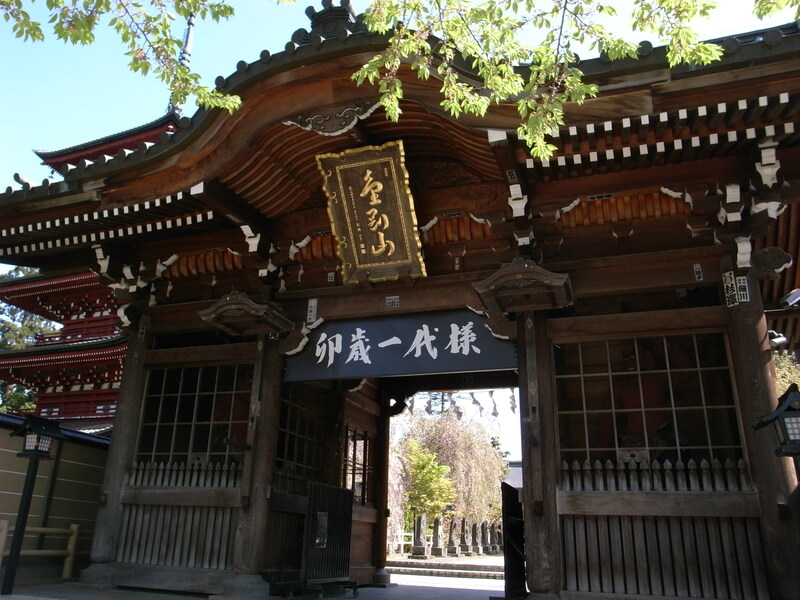 Saisho-in Temple is one of my favorite temples in Aomori-Prefecture. Just walking around the precinct of the temple made me feel better. 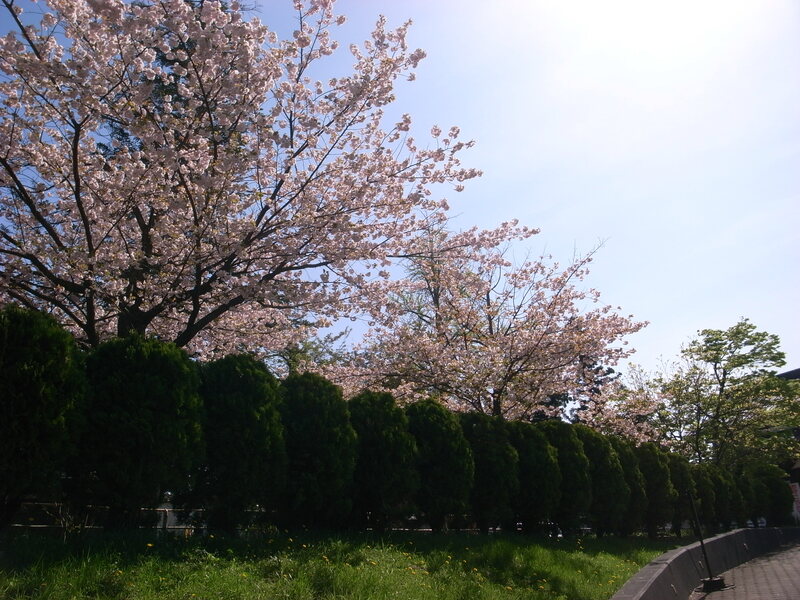 It was probably because of the nice weather, pretty cherry blossoms, tidiness and the sacred atmosphere. 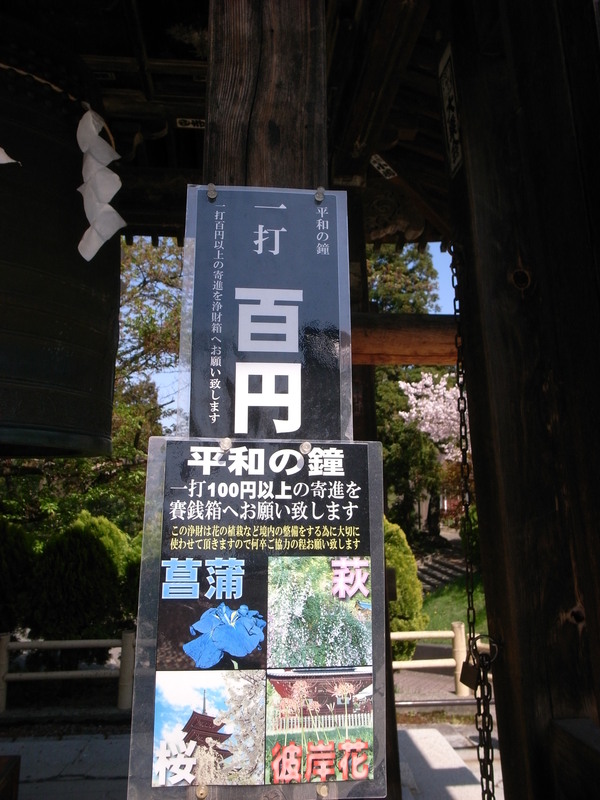 You can ring the bell by offering 100yen. 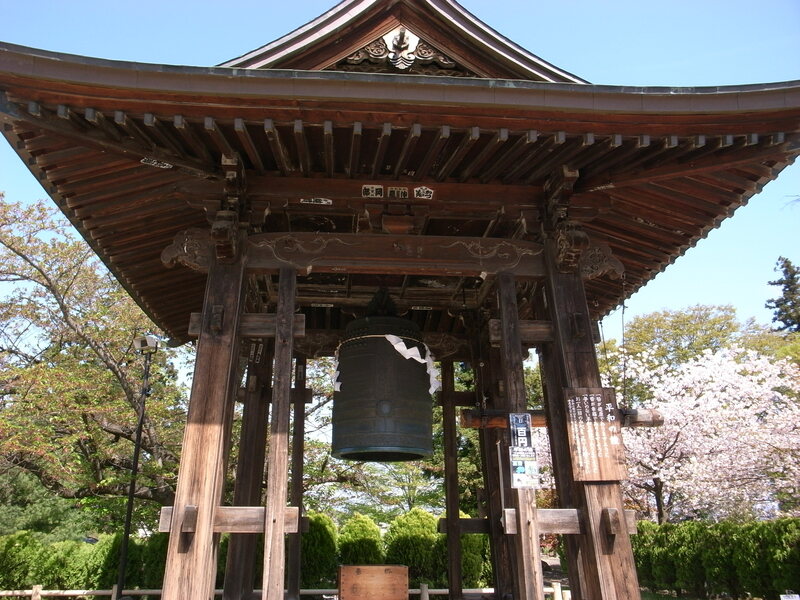 Hitting the bell was interesting, and also hearing the resonance of the bell made me feel more relaxed and at peace. 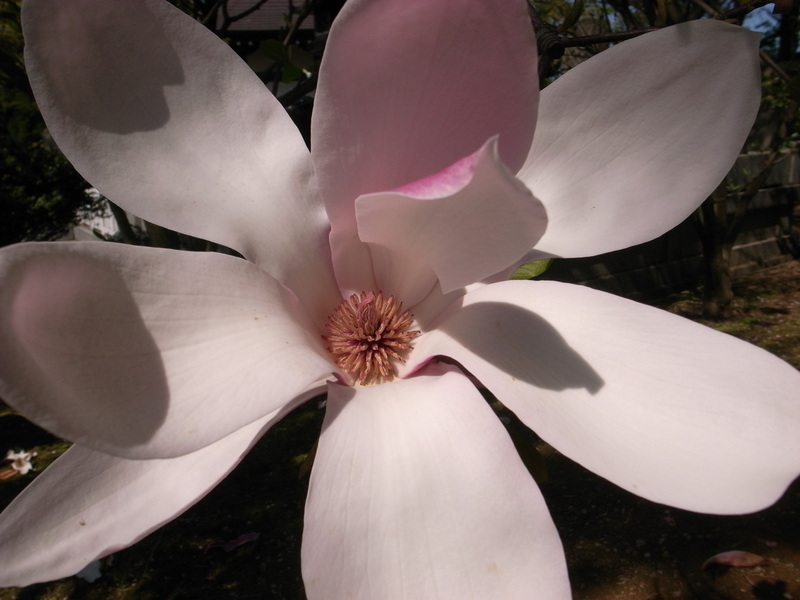 I could enjoy the final cherry blossom viewing of this year in this temple. There are also maple trees in this temple, and I would also recommend to visit this temple in autumn to appreciate the pagoda and colored maple leaves. 100yen ” Tamenobu ” loop bus is available from JR Hirosaki Station. Get off at the “Hirosaki Koukou Mae” bus stop. You can see the top of the pagoda from the bus stop, walk about 3 minutes toward it and you will arrive at the temple. 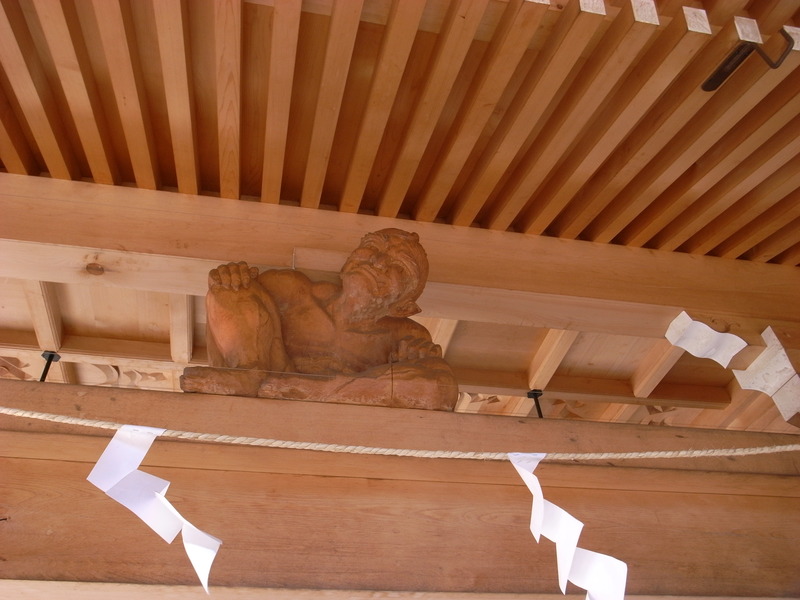 This entry was posted on May 18, 2010 at 5:35 pm and is filed under Hirosaki-city with tags five-storied pagoda, hirosaki, maple trees, Saisho-ji temple. You can follow any responses to this entry through the RSS 2.0 feed. Both comments and pings are currently closed.